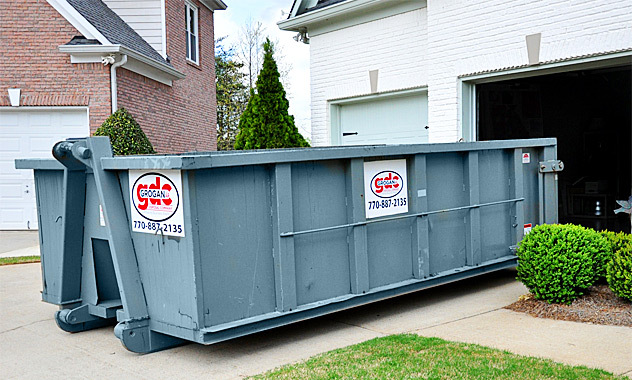 Grogan Disposal Company offers the ideal dumpster rental for any business or construction project you have, whether it's a short-term renovation, longer-term construction project or just an overflow of unwanted trash. Trust Grogan Disposal Company's 40+ years of experience to help you find the ideal solution for your needs. Our roll-off containers and compactors can be used for all levels of nonhazardous waste and recycling collection and transportation. The enclosed receiver box allows for compaction of waste material inside. 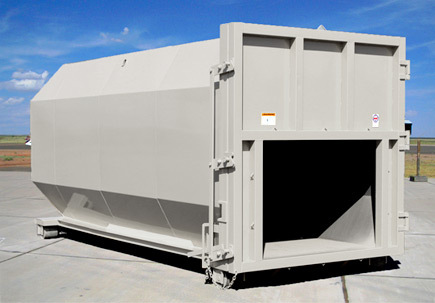 Fully enclosed to minimize waste exposure to wind, weather, and pests. Reduces the frequency of collection. Maximizes your waste material per haul, saving on operating costs. *If a container is overloaded, Grogan Disposal Company will either charge additional fees to haul the container or require the customer to offload material prior to removal if the container is unable to be safely hauled. a roll-off container or compactor.